Think polo is only for the rich a famous? 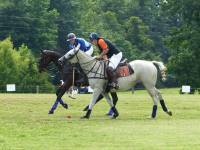 Polo is a great family friendly sport, often with multiple generations sharing the field! Our players come from all walks of life and our club is a fun, inviting venue for anyone getting their start…even for those who haven’t ridden a horse before! You can easily learn with the help of the Alpine Polo School . 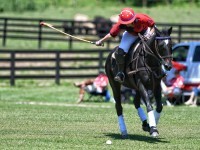 Alpine Polo School offers lessons for all levels of players, from beginner through advanced. Have you played before but are new to the area? Feel free to shoot us an email at columbuspoloclub@gmail.com or contact us on Social Media. So you want to play but you don't have your own horse? That's not a problem. Alpine Polo School has mounts available for season leases as well as pay-by-chukker. Play in weekly practices, currently Wednesdays and Fridays. Follow the Columbus Polo Club on Facebook and Instagram for constant updates and more information.